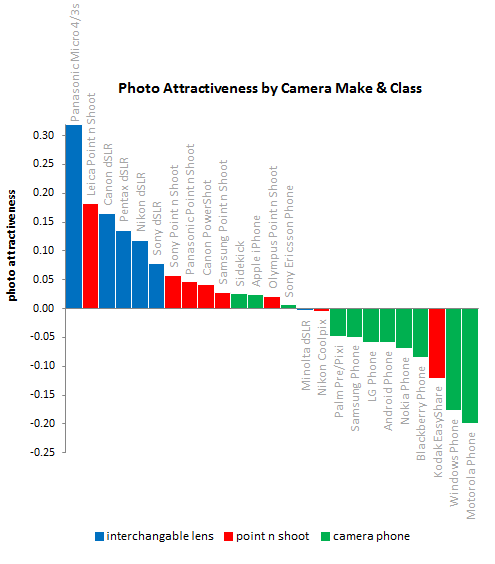 An interesting camera ranking made by Okcupid - they let people vote on different picture profiles and came out with some interesting results: Leica point and shoot cameras came on second place after Panasonic m4/3 and ahead of Canon, Pentax, Nikon and Sony DSLR. My explanation/guess - they probably included the Leica M8/M9 models in that point and shoot category. This entry was posted in Leica Compacts. Bookmark the permalink. Trackbacks are closed, but you can post a comment.